In vitro fertilization (IVF) is an assisted reproduction technology (ART) process in which after hormonal stimulation of the ovaries; eggs are harvested from the woman and then fertilization is done manually by combining the egg and partner’s sperm in a laboratory dish, and then the embryo is transferred to the uterus. The procedure and technology for IVF treatment in India are also the same. 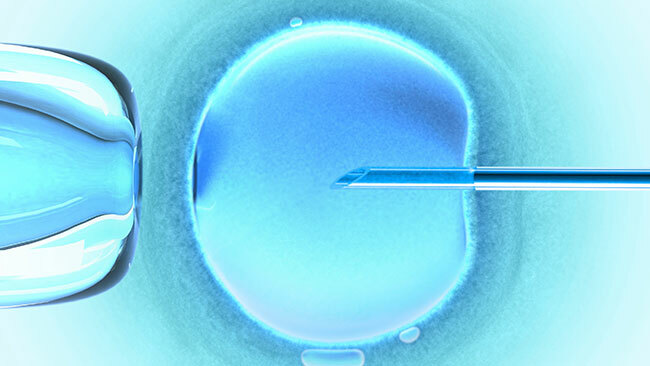 Why is IVF treatment used? A woman’s fallopian tubes are missing or blocked or damaged. A man has low sperm counts or sperm motility. There is a history of the genetic disorder. A woman has uterine fibroids. A woman has ovulation disorders. If a female has had, her fallopian tube removed. Unexplained infertility has continued for a long time. The female partner’s age and various personal factors influence the couple’s choice to wait. A woman has had a tubal ligation reversal surgery that was not successful. Before and during the process, the fertility specialist will monitor your ovaries and the timing of the egg release. Hormone injections are administered to ensure 10-12 days of ovarian stimulation. The medication to be prescribed and dosages are scrutinized through regular scans and blood tests during this period. Usually 36 hours before egg collection, on the final day of ovarian stimulation, an HCG injection is given to mature the eggs. Egg collection is conducted with sperm collection at the same time, under sedation or a mild general anesthetic. During this step, pain medication is given to reduce any anxiety. After this, a fragile needle is moved through the upper vaginal wall. With the vaginal ultrasound, fluid is removed from the follicles under gentle suction. The oocyte (egg) is isolated from the follicular fluid, immediately after aspiration of the follicle. Before transferring the egg to the incubator, it is placed in a culture dish containing a nutrient medium. The next step is the fertilization of the egg. A sperm sample is secured, either from your partner or a donor and then the most vital sperm is mixed with the egg in a particular chamber. Occasionally the sperm is directly injected into the egg. Then, to make sure that a healthy embryo develops, the sperm and egg are placed in an incubator and monitored. The last step is the embryo transfer. After the process is complete, bed rest is usually advised for around 24 hours. A blood test is performed to ascertain the pregnancy 14 days after egg collection. What is the age limit for In Vitro Fertilization? The age limit for IVF treatment in India (in fact elsewhere too) using own eggs is somewhere between 42 and 45 years and using donor eggs is 49-50 years. How long is the process of getting pregnant with IVF cycle? A single cycle takes four to six weeks to complete. The first step is egg retrieval and then the fertilization process. After 2-5 days, the embryos are selected for transfer to the uterus. How does one decide the number of embryos be transferred? The doctor determines the number of embryos be transferred, by the age of the recipient and increases the number in the case of unsuccessful previous IVF cycles. The success rate of IVF for women differs with age. For a lady in her late 20s, the chance of favourable outcome is more than for a woman in her 30s. For a woman under 35 the chance of the positive result is approximately 40% which decreases as the age increases. Over the past few years technology for IVF treatment in India has grown in a phenomenal manner and has been getting very good result. This period of extended culture helps select the most competent embryo(s) for transfer to the uterus and can contribute to indicate which embryos have the best growth potential. Therefore, blastocyst culture maximizes the possibility of achieving a viable pregnancy. By the moment an embryo has arrived the blastocyst stage, it’s already experienced several cell divisions and accomplished its first cell differentiation into two distinct cell types. A better chance of having blastocyst development (age and infertility conditions will determine this). Previous failed attempts at achieving a pregnancy. Strong concerns about delivering high-order multiple pregnancies.